MPSC Civil Judge Results 2017: Important information for the candidates who have appeared for Maharashtra Public Service Commission examination for the post of Civil Judge (Junior Division) and Judicial Magistrate. The Maharashtra Public Service Commission is about to release the MPSC civil judge result 2017. Applicants can also get the result from the official website www.mpsc.gov.in. All the applicants have written the prelims test organized on 21st May 2017. The notification released by MPSC makes clear that 75 vacancies are available for the post of Civil Judge and Judicial Magistrate. All the aspirants have applied for the examination before 4th April 1017. The candidates qualified in the prelims will be called upon for mains. For more recruitments in MPSC candidates can visit www.allindiajobs.in. Good news for the candidates looking for MPSC Civil Judge Result 2017. The Maharashtra Public Service Commission is about to release the MPSC Civil Judge result. Every year a huge number of candidates are showing their interest towards Maharashtra Public Service Commission. As these jobs come under the category of Government jobs. Many aspirants prefer these jobs due to the reasons of job security and pay scales. 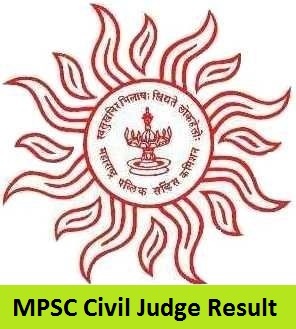 In order to recruit candidates for the post of MPSC Civil Judge, the MPSC will organize a Prelims test and those qualified lists will be called upon for mains. The results for MPSC Civil Judge prelims will be made available once after the release was made officially. The below MPSC Civil Judge notification will make you clear with the recruitment details. In addition to this candidates will also be aware with some of the important dates which they have to be aware with. Every candidate who had appeared MPSC Civil Judge exam must have to meet the MPSC Civil Judge Cut off specified by the authority. The MPSC Civil Juge Cut off marks will contains information related to the minimum marks to be secured by the candidates for being qualified in the exam. By knowing MPSC Civil Judge Cutoff Mark candidates can expect their result status. Those aspirants who score are more than or equal to the cut-off marks will only be considered as qualified in the MPSC Civil Judge exam. The Maharashtra Public Service Commission will release the MPSC CJ Judicial Magistrate cut off marks after the few days of conducting the examination. On the basis of previous year analysis, we have provided the MPSC Civil Judge cut off in the below. Consider them just for reference we will update it once the official release was made. Once after the release of the MPSC Civil Judge Result candidate’s selection will be done based on performance in written exam and merit list. MPSC Civil Judge Prelims Exam will be called for mains on the basis of category-wise merit list of candidates. Candidates listed in the merit list by meeting the cut off marks will be offered with a call letter for Mains Examination. The candidates were provided with some simple steps which are helpful at the time of checking MPSC Civil Judge Results. Go through all the steps and you will get an idea of how to check so that you can make the process simple. Browse for MPSC Civil Judge Results 2017 on the main page. 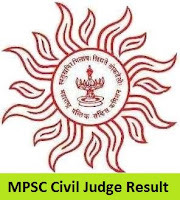 Click on MPSC Civil Judge Results once it was found. You will be redirected to a Result page. Enter the details specified in the fields. Take a print out copy for further reference. The complete article was made in order to help the candidates to check MPSC Civil Judge Result. If you have any suggestions or questions about this results notification feel free to ask by commenting below.